I may have even kissed one before taking a bite once. But let's not discuss that. 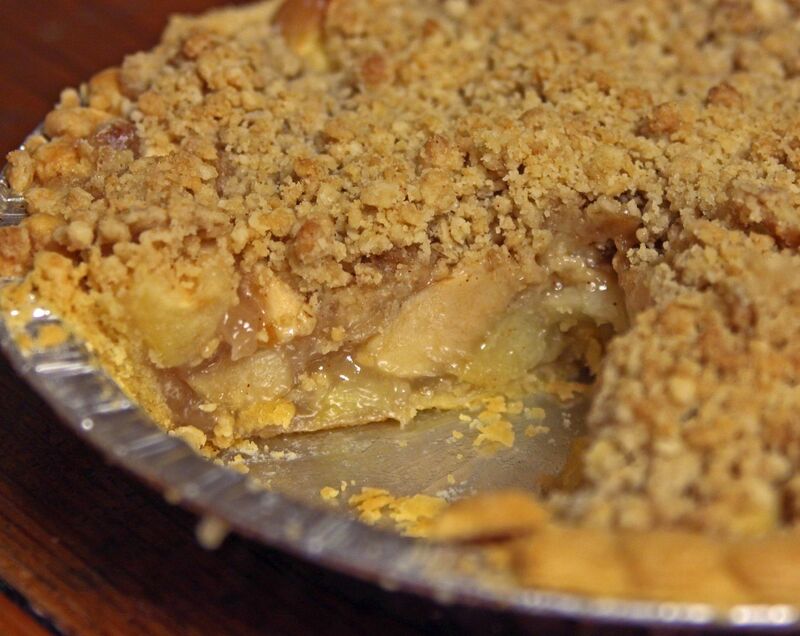 We're going to make a delicious easy apple pie with crumb topping. Slice and peel about 5 or 6 apples. I don't peel them completely. Besides being lazy, I like the bits of peel left on for flavor and nutrition. It's a nice rustic perfectly imperfect kind of thing. Those go into a premade pie crust. What?! If it's good enough for B. Smith, it's good enough for me. 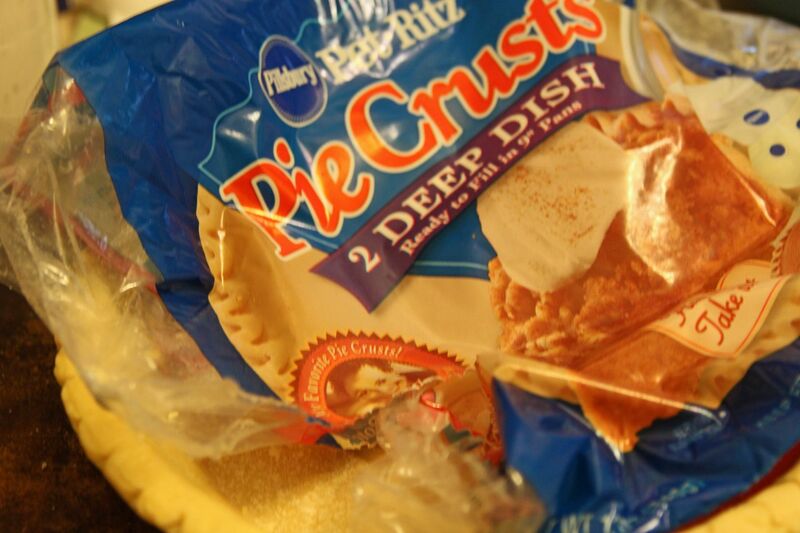 While I try not to be a brand snob, when it comes to pie crusts, Pillsbury is the best. After baking for about 35 minutes, you pull it out and sprinkle on the crumb topping. Bake for another 40-50 minutes. 1. Preheat oven to 350 degrees. 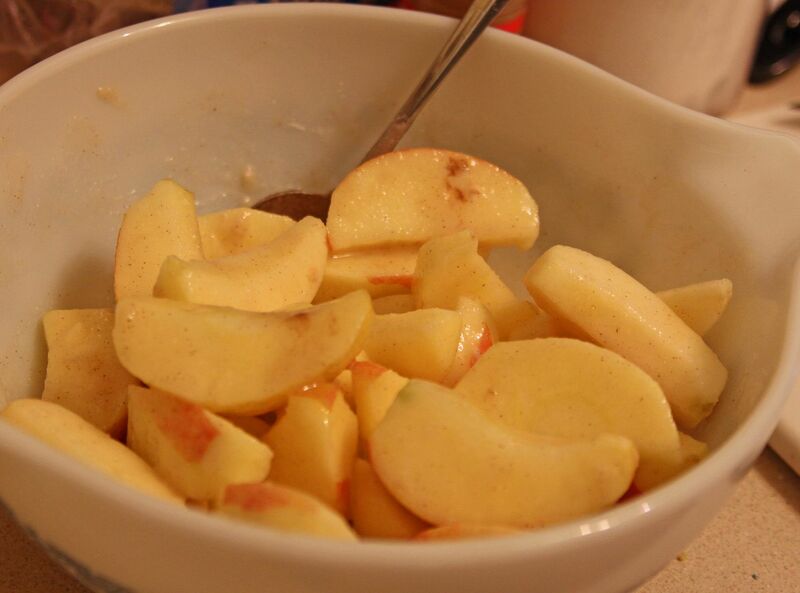 In a large bowl, combine apples, sprinkle of lemon juice, 1/2 tsp. cinnamon, sugar, and 1/4 cup flour. Toss together and let stand 10 minutes, stirring occasionally to dissolve sugar. 2. Scrape mixture into pie crust, set on a baking sheet and bake for 35 minutes. 3. While the apples are baking, mix melted butter, brown sugar, remaining 1 cup flour, remaining 1/2 tsp. cinnamon, and rolled oats in a small bowl. Pinch or stir with a fork until crumbly. 4. 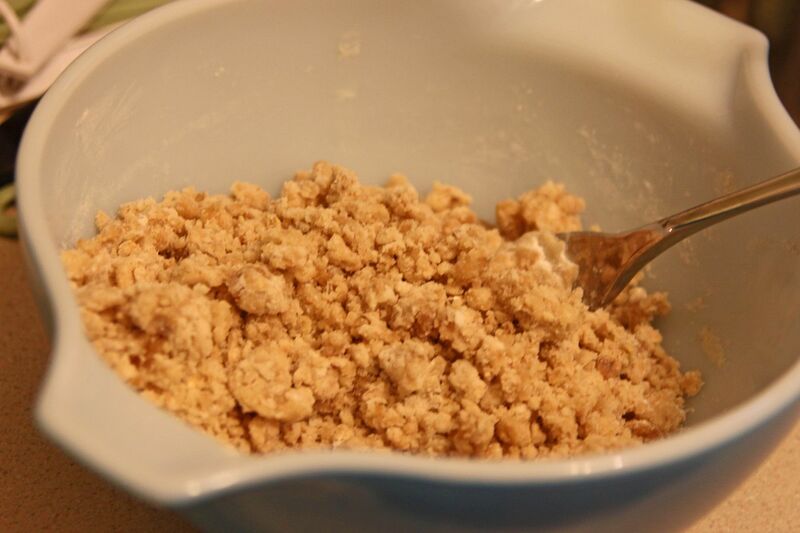 After 35 minutes, remove pie and sprinkle with crumb topping. Return it to the oven and bake for 40-50 minutes until the top is golden brown. 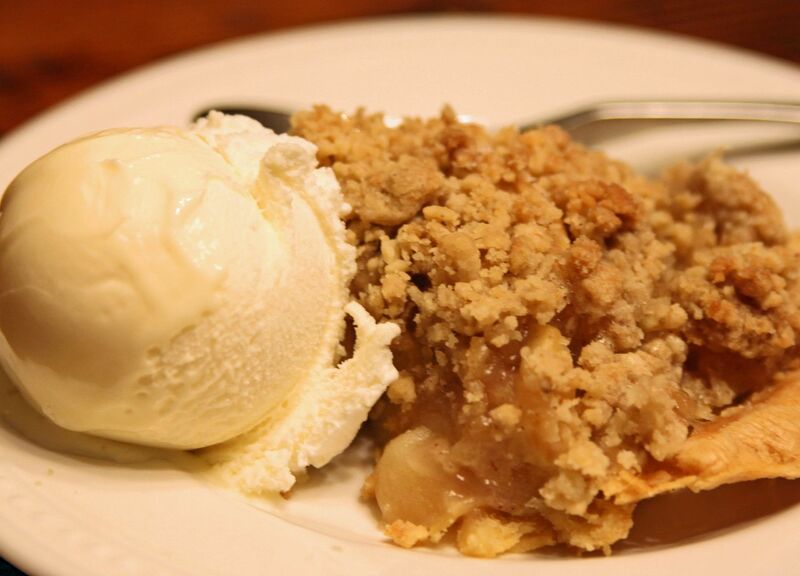 If you've never made a homemade apple pie, this is a great one to start with. You can even do it for Thanksgiving dinner! Put it all together and bake the day before. Looks good although I don't eat cooked fruit LOL! Looks AMAZING! This is one of hubby's favorite pies. thank you Beki! that looks awesome. i am supposed to bring a dessert for thanksgiving and i most certainly have never made a pie! i think i may just have to try this! Well--Thanks a lot! Now I'm really hungry! I made one almost just like this one on Saturday. And yes, get the Pillsbury crusts! I use the ones that are rolled up in the red box. I am starving right now..and its cold and rainy,but midnight! I want apple pie!! Will try this tomorrow! if Angela cooks my turkey, I'll do her pies. ok, is it me, or did that sound dirty and wrong? I love apple anything! I eat at least one apple almost every day.